“If they can dream it, they can build it,” says architect and engineer Madhu Thangavelu. 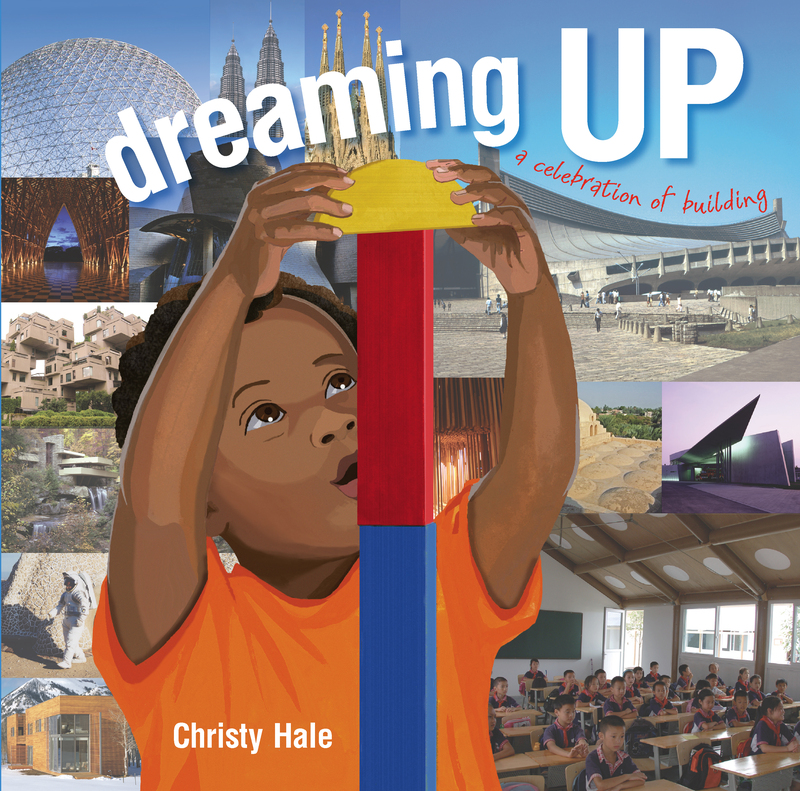 This is the essence of Dreaming Up, a unique picture book that intuitively connects children’s natural impulse to create and build to an understanding and appreciation of innovative works of architecture. 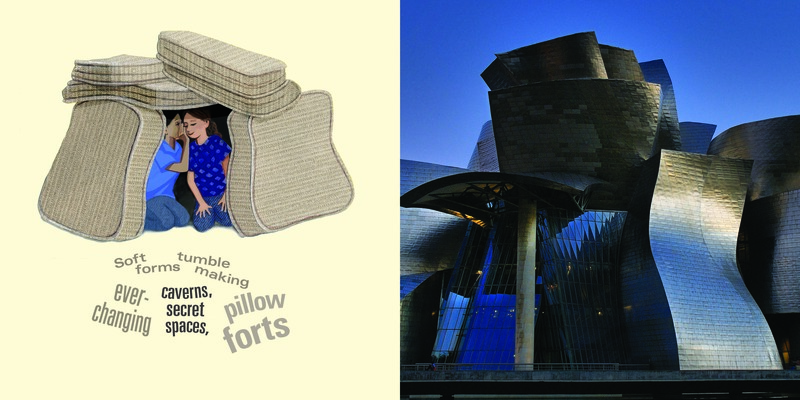 Illustrations of children at play using stacking cups, wooden blocks, Popsicle sticks, Legos, snowballs, sofa cushions, and more are paired with lively concrete poems and shown opposite notable works of architecture from around the world that look as if they were inspired by the children’s simpler creations. The book is further enhanced—especially for older readers—with backmatter that includes descriptions of the buildings depicted and architect biographies, portraits, and quotes. Dreaming Up sparks learning activities on many levels. 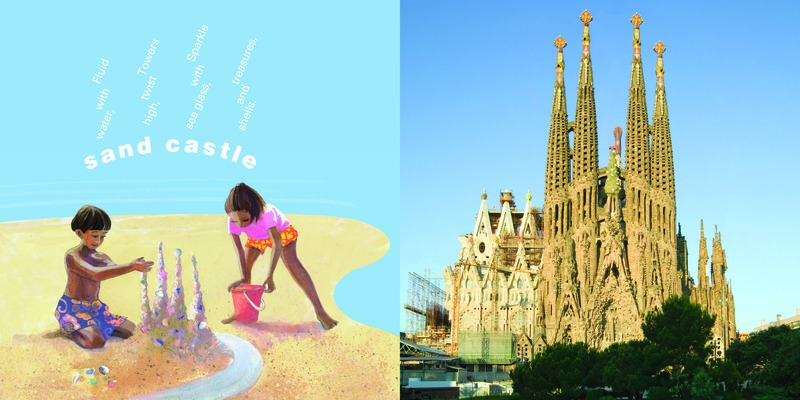 Here are just a few of the possibilities: look for shapes in the illustrations and photographs; provide building materials for children to build their own structures; learn more about the buildings pictured and the architects who designed them; meet and talk to a practicing architect; explore careers in construction, building, engineering, and architecture. Come be inspired to play—dream—build—discover! Copyright © 2014 Louise E. May All Rights Reserved. I really like that book! Amazing that such simple things as blocks can inspire kids to dream bigger. I know my kids loved building towers and castles. Blocks are a gateway to legos and drawings of cool cars and… eventually, degrees in engineering.